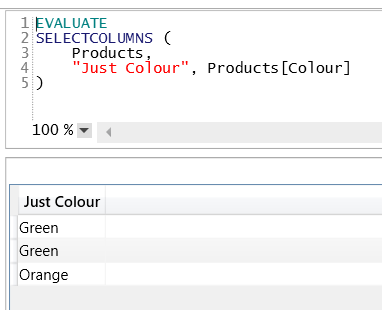 As you can see in the output of the query above, I’ve renamed the Product column “Column One” and the Colour column “Column Two”. 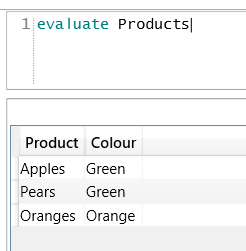 Notice how there are three rows in the output here and that the value Green occurs twice. 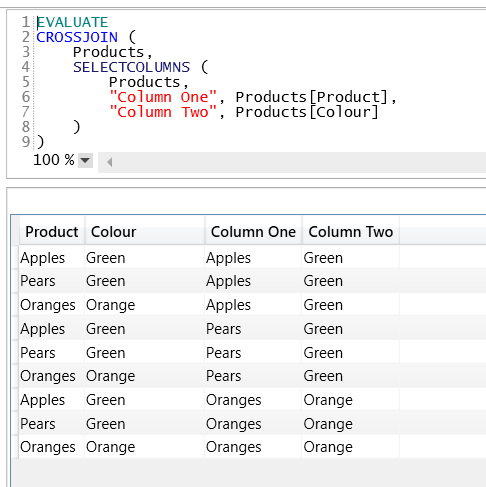 If you’re a true DAX afficionado, you might get excited about that. 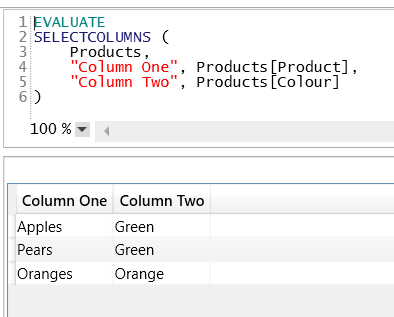 Definitely a better development experience for DAX novices used to writing SQL queries from SSRS or any client for that matter. Aside: Looks like WordPress stripped tabs/spaces/formatting. I was thinking about switching my blog to WP, but I wish there were a way to give commenting developers more flexibility to keep code prettier. First world problems.